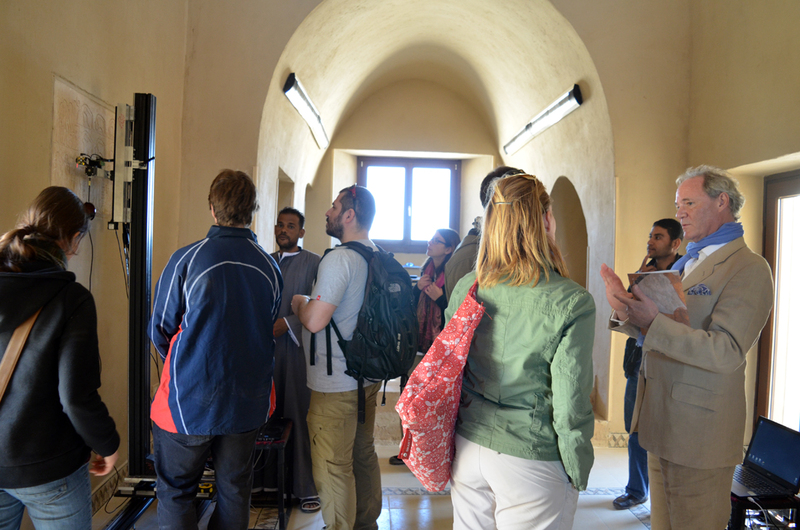 Digitize This: The Theban Necropolis Preservation Initiative Training Centre Opens Its Doors Today! 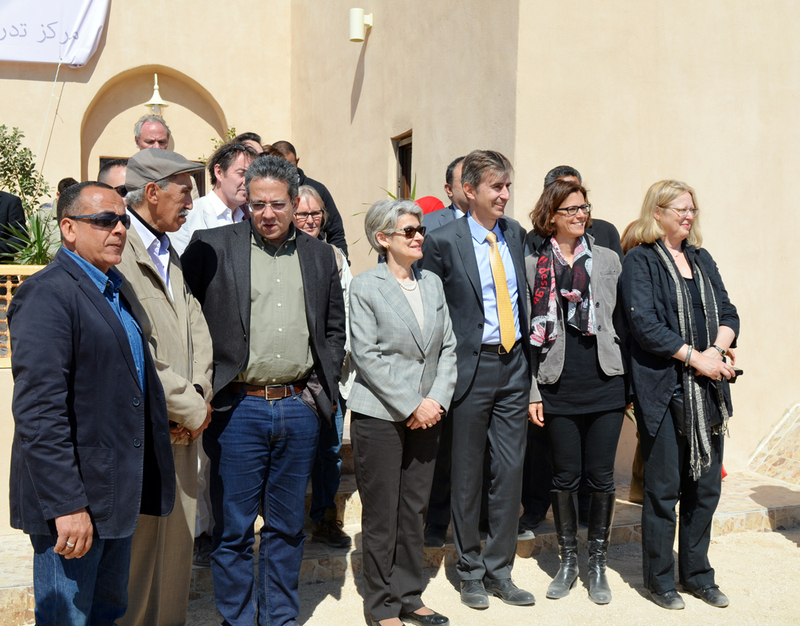 Buzzing excitement filled the air on Friday as the Factum Foundation, the Ministry of Antiquities and the University of Basel came together for the opening of the Theban Necropolis Preservation Initiative Training Centre in Luxor. 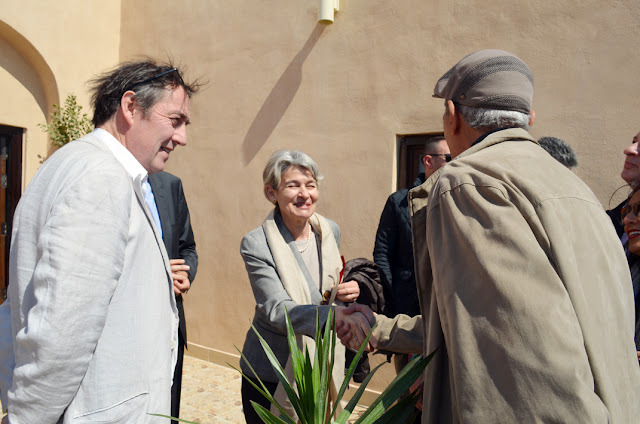 Minister of Antiquities Khaled El-Enany, the Director General of UNESCO Irina Bokova and the Swiss Ambassador Markus Leitner opened the house amidst a throng of impressed visitors studying the equipment and fully restored Stoppelaëre house. The latter, which is a mere walk uphill form the Carter house and which was originally built in 1950 by the one of Egypt’s pioneer architect Hassan Fathy for the French conservator Alexander Stoppelaëre, was restored by the Tarek Waly Center of Conservation and Heritage along with a team of local craftsmen. This restoration is part of the Theban Necropolis Preservation Initiative which is a collaboration between the Ministry of Antiquities, the University of Basel and Spain’s Factum Foundation. 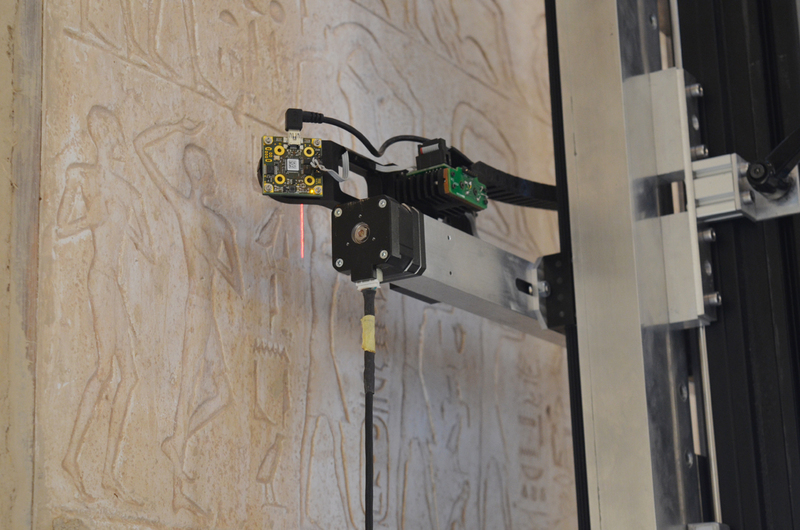 Known for their brilliant capacity of combining arts and digital technology in order to preserve heritage, Factum and the University of Basel have begun scanning of the tomb of Seti I in the same fashion as the tomb of King Tutankhamun using 3D digital technologies. Their aim is to ultimately scan the entire KV17 tomb, approximately 130 meters long and the longest of its royal kind. This type of high-resolution documentation technology is being used to create exact facsimiles of tombs in a bid to help the general public gain knowledge about tombs closed off for preservation reasons but also to document and monitor vulnerable sites. 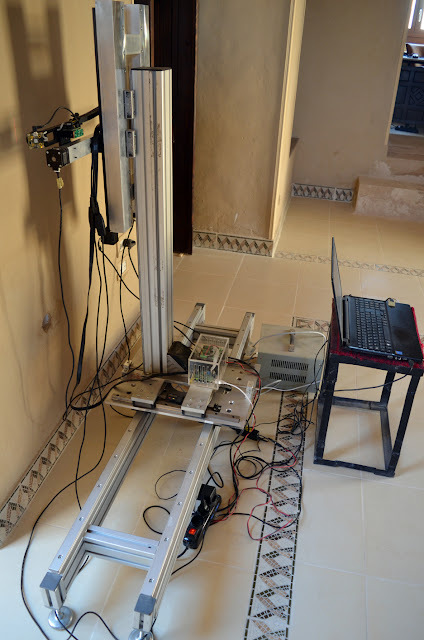 However, one cannot deny that that high-resolution recording and documentation do does more than simply study and monitor key culturage sites: indeed, one of Factum’s aims is to help local residents become speciailists in 3D digital technologies and composite photography. 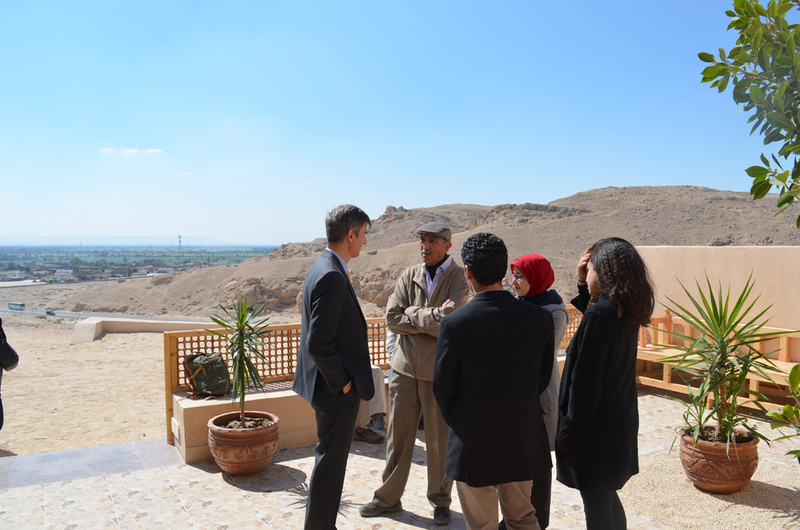 So far, Factum Foundation began training local operators under the much-appreciated supervision of Aliaa Ismail, a previous Egyptology and Architecture student from the American University in Cairo who underwent training at Factum prior to her employment. 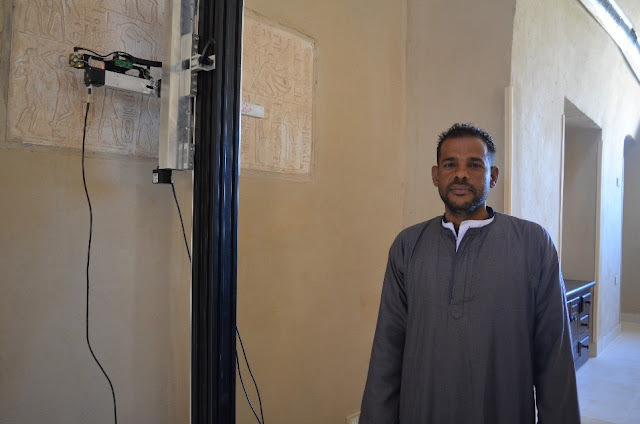 These local operators go by Mahmoud Salem and Abdel Raheem Ghaba (Abdo) and are both trained in data processing, 3D scanning, assembling the equipment and troubleshooting. 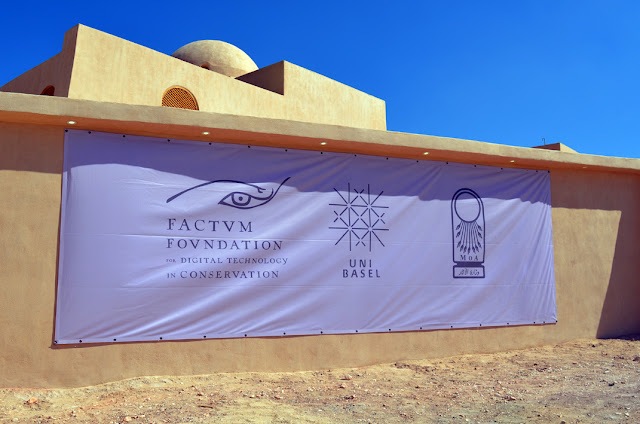 “It was like a dream, when I saw what they were able to do with the Tutankhamun facsimile,” says 37 year old Abdo who had been working with Factum since 2008. He explains that their training took a full 2-weeks but was on-going after all of Ismail’s daily work in the Seti tomb. “The program helps you see every little detail in the object,” enthuses Salem as well. Both contractors are clearly proud and keen to share the knowledge that they’ve acquired. They are not the only ones optimistic about these skills. Indeed, many express what this sort of technology could mean for the local community and ultimately to the country when it comes to being sustainable. 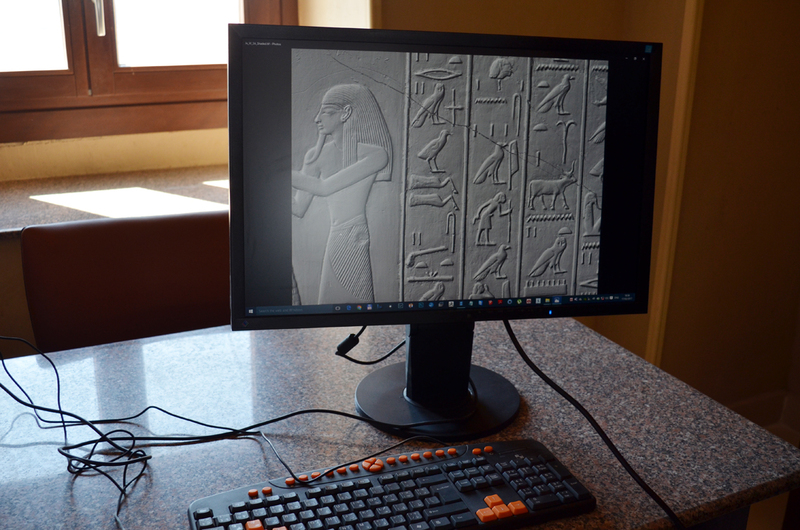 Is this technology truly, as AUC Egyptology professor Dr. Fayza Haikal says, the ‘future’? “Within three months, the center will be fully operational, Mahmoud and Abdo will be training the others,” explains Adam Lowe, the founder of Factum Foundation for Digital Technology in Conservation. A great amount of overjoyed faces came to the opening of the center. From famed Egyptologists to the governor of Luxor and even to visiting figures such as the director of the Egyptian collection at the MET; many are eager to see this little riveting center, the potential it holds and one day, its expansion.